the home of cafés, dessert and coffee lovers! 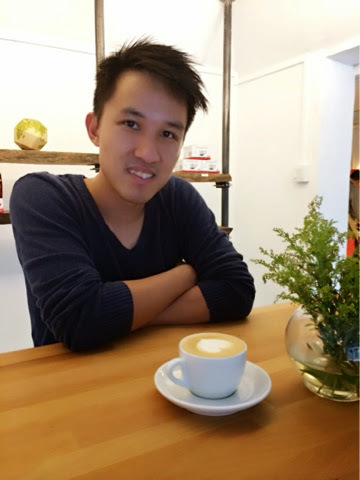 There has been a growing number of cafés all around Singapore and Everton Park is one of the new location for this cafe boom! Not that I'm complaining cos I love exploring new cafés so we decided to check out afew on a random Wednesday. 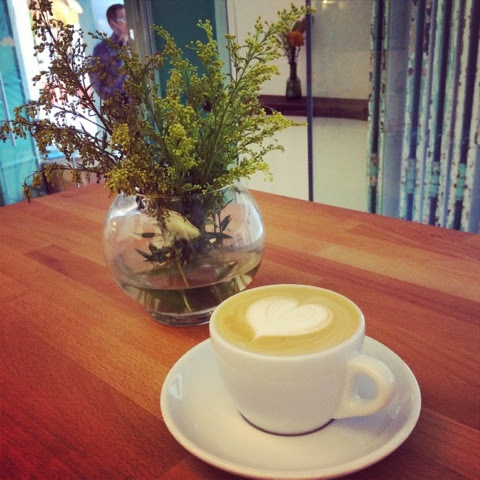 A minimalist styled cafe specializing in artisan coffee. We really liked the minimalist meets industrial decor of the cafe. 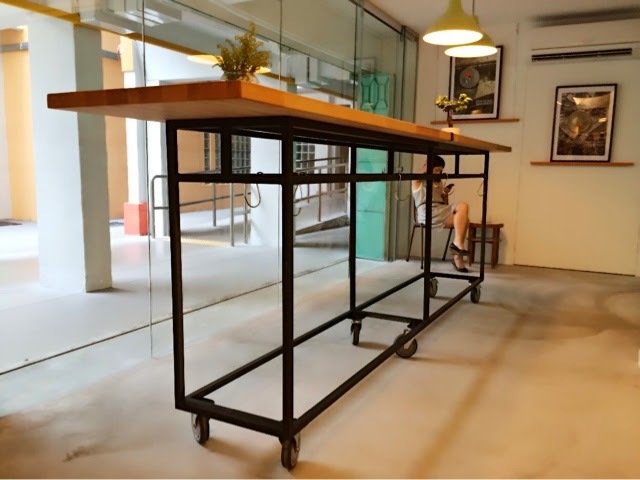 There aren't many seating areas available, so everyone either buys takeaways or drink their coffee at this beautifully crafted wooden long table. You can smell the wood and enjoy a deliciously fragrant hot cuppa! Their coffee blend varies daily and they also do their own special blend so there's always something new to try! You can also choose the intensity of your coffee. It's a really nice place to chill and enjoy your coffee albeit the lack of sitting area. True to it's name, this cafe we went to had a very cosy atmosphere! Cosy lighting among black and white graphics on the walls done by a student from LaSalle. The decor was simple but it makes you feel very comfortable. It's a great place if you want a nice quiet place for coffee and snacks. 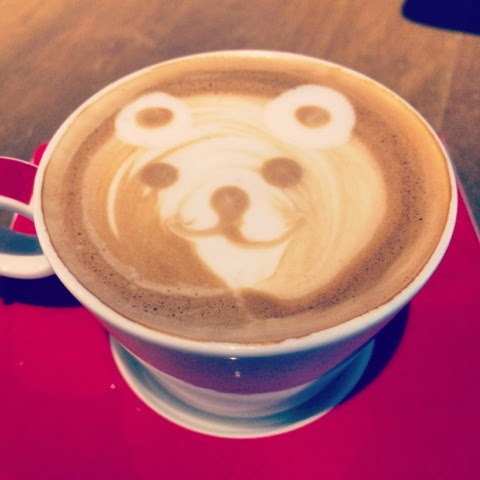 We especially loved the super adorable teddy bear coffee art! 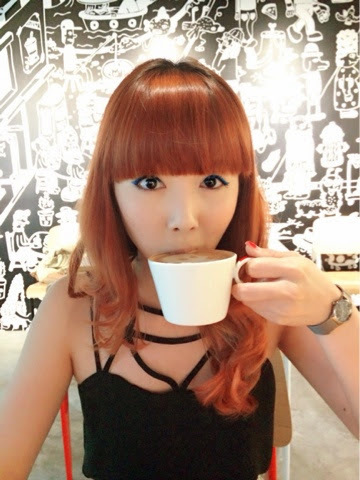 The coffee here is less "concentrated" as compared to the one from Nylon, but I guess it's great for those who like their coffee without it tasting too bitter! A whimsical themed cafe specializing cakes in jars! Not just any kind of cakes in jars but organic ones made from the freshest ingredients and without any preservatives. The reason why they use jars for their cakes is also their way of being Eco friendly by minimizing wastes instead of using paper and plastic packaging. Really applaud their green effort in this "use and throw" generation! Not all will be available all the time because they freshly make all their cakes and some need some "setting" time before they can be served. paired with monochrome geometric printed trumpet skirt from Bysi. both from Charles & Keith. 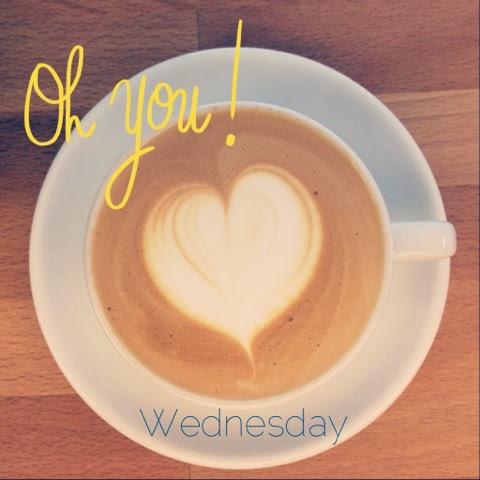 Alrighty, have a fantastic midweek everyone!